Jan Bjøranger is the founder and artistic director of 1B1. As a professor and head of the string department at the University of Stavanger, Bjøranger occupies a prominent position among Norwegian musicians, as well as pursuing a very active career as a performing artist. Throughout his career, Jan Bjøranger has shown a strong instinct as a musical entrepreneur. He was the artistic director of the Umeå International Chamber Music Festival in Sweden for six years, as well as the founder of the KGA Festival in Norway. He says that his work to establish 1B1 triggers both his musical skills as well as the entrepeneur and educator in him. Bjøranger is a sought-after leader for ensembles and orchestras in Europe, including Camerata Salzburg, the Scottish Chamber Orchestra, Gothenburg Symphony, Danish Radio Symphony Orchestra, as well as the Trondheim Soloists, the Norwegian Chamber Orchestra and the Danish National Chamber Orchestra. 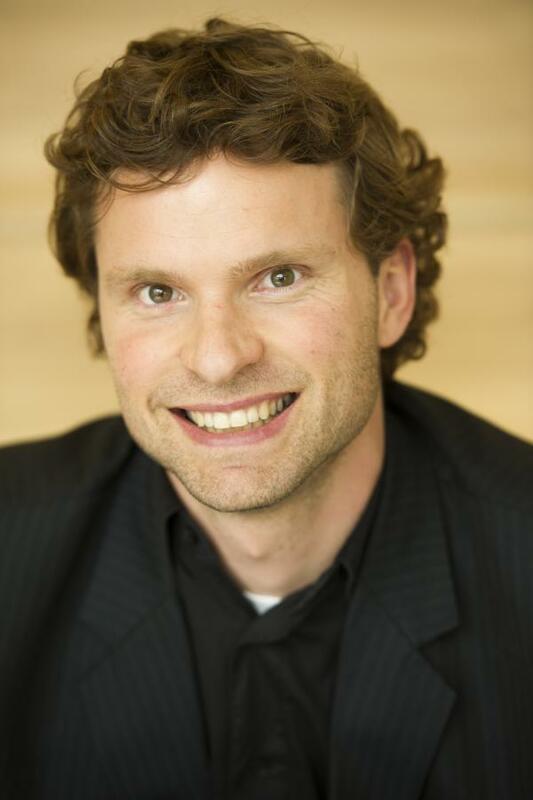 As a soloist and chamber musician, Jan Bjøranger has performed in several countries in Europe and overseas. Jan Bjøranger has participated in a great number of recordings, mostly as leader or part of ensembles, but also as a soloist, for labels like Phillips, Sony, CcnC, Chandos, EMI, Simax, Lynor, and Intim Musik. 1B1 aims to perform the music of our own time. The fact that Jan Bjøranger has already co-operated with composers like Arvo Pärt, Steve Reich, James MacMillan, Mark Anthony Turnage, Piers Hellawell, Daniel Schnyder and Gija Kancheli, makes this even more likely to become a reality. Part of what is special about 1B1 is the conscious focus on the mix of young enthusiasm and experience. The young musicians benefit from interaction with highly experienced musicians. Below, we present 1B1’s musical mentors, who work either directly with the ensemble or under the umbrella of the 1B1 Academy. Their tasks are many and varied, and our tutors contribute their vast knowledge and experience in addition to their amazing musicianship. Harald Grimsrud has always enjoyed playing the violin, but he was no musical prodigy, and through his career he has struggled with himself and not known whether the violin should have been the path of his life or not. The strongest gift of support was given to him by Kåre Fuglesang, Jennifer Wolf, Lars Frydén, and Almita and Roland Vamos. The most important musical influences he received through two prominent pupils of Jenő Hubay, Endre Wolf and Sándor Végh, who were among the fortunate generation of Hungarian musicians inspired by the great piano mentor and chamber music teacher Leo Weiner at the Ferenc Liszt Academy in Budapest in the first half of the last century. In the late 1980s, as a member of Camerata Salzburg, Harald got to tour as much as he liked, as well as recording most of Mozart´s repertoire for chamber orchestra, including the concertos for piano and orchestra, with András Shiff. Harald has performed as soloist with the Stavanger Symphony Orchestra, where he currently has the position of principal second violin. He is a keen chamber music player and was featured at the opening of the orchestra´s chamber music series. He has also performed a wide range of repertoire as a member of the Zeuner String Quartet. Born in Finland, Ilmari Hopkins is since 2002 co-principal cellist of the Stavanger Symphony Orchestra and cello lecturer at the University of Stavanger, Norway. He has acted between 2008-2011 as cello faculty of YOA Orchestra of the Americas and has also coached the strings in several other youth orchestras, among others the Norwegian National Youth Orchestra and NEOJIBA Youth Orchestra of Salvador, Brazil. He is member of the Norwegian chamber music ensemble 1B1. Ilmari was trained at the prestigious Rimsky-Korsakov Conservatory in St. Petersburg, Russia, with Prof. Anatoly Nikitin, long-time pupil and assistant of Rostropovich, and obtained his Soloist Diploma in 2002 at the Royal Academy of Music of Stockholm, Sweden, with Prof. Torleif Thedéen. First prize recipient of the Lahti Chamber Music Competition in Finland, Ilmari has performed as a soloist with orchestras such as the Swedish Radio Symphony Orchestra, the Lima Symphony Orchestra, Stavanger Symphony Orchestra, YOA Orchestra of the Americas and the Prague Chamber Orchestra. His recordings include broadcastings for the Swedish Radio, the WFMT 98,7 classical radio of Chicago and a CD with the SKASEI Trio by the Italian Azzurra Music. Ilmari is also an enthustiastic chamber musician and has been invited to teach and perform in international chamber music festivals in Stavanger, Bergen, Prague, Lima and on Crete. He has performed in most of Europe and in the USA, Japan, South-Africa and in various Latin-American countries. Kuuskmann’s 2013/14 season includes several appearances with the much acclaimed concerto by Christopher Theofanidis, including with the American Composers Orchestra under Robert Spano in Carnegie Zankel Hall, Erkki-Sven Tüür Concerto with the Baltic Youth Philharmonic under Kristjan Järvi in Venice and Usedom Festival, Indianapolis Chamber Orchestra among others. Kuuskmann has appeared numerous times as soloists with Neeme Järvi and the Estonian National Symphony Orchestra, Orchestre de la Suisse Romande, Sinfonietta Riga, Macao Orchestra, Absolute Ensemble, Symphony Orchestra of the Norrlandsoperan, Tallinn Chamber Orchestra, 1B1 Ensemble to name a few. Known for his skillful performances of the monumental solo work by Luciano Berio, Sequenza XII, Kuuskmann was invited as a guest soloist in 2008 for the New York Philharmonic’s "Day of Berio” in Rose Theater at Lincoln Center, which in turn evoked the New York Times to write "…Kuuskmann offered virtuoso technique with superhuman breath control.” Since 2011 Kuuskmann has been invited annually as a concerto soloist at the International Double Reed Society Conventions, including in 2014 in New York City where he is to premiere the Concerto No.2 ("Breath of Rhetoric”) by Gene Pritsker. A frequent guest in festivals, Kuuskmann appears regularly at the Pärnu Music Festival, Bremen Musikfest, as well as Landsberg, Kuhmo, Gaia, Umeå, Menuhin Festival Gstaad, to name a few. As an avid chamber musician Kuuskmann is a co-founder of the Berlin based Trio Mann along with oboist Christoph Hartmann (Berlin Philharmonic) and pianist Hendrik Heilmann, exploring a wide range of repertory from solo chamber music to trios. For the last several years Kuuskmann has appeared regularly, under the invitation of Paavo Järvi, as a solo bassoonist in the Pärnu Music Festival Orchestra. As a recording artist, Kuuskmann received a 2007 Grammy Nomination for his recording of David Chesky’s bassoon concerto. His 2012 release of reconstructed bassoon concertos by J.S.Bach with co-soloist, world renown violist, Lars Anders Tomter and the 1B1 Ensemble, was released to high praise on Simax records. Kuuskmann’s acclaimed solo cd "Nonstop” and other albums are available on ERP, Erdenklang, CCn’C and Chesky record labels. 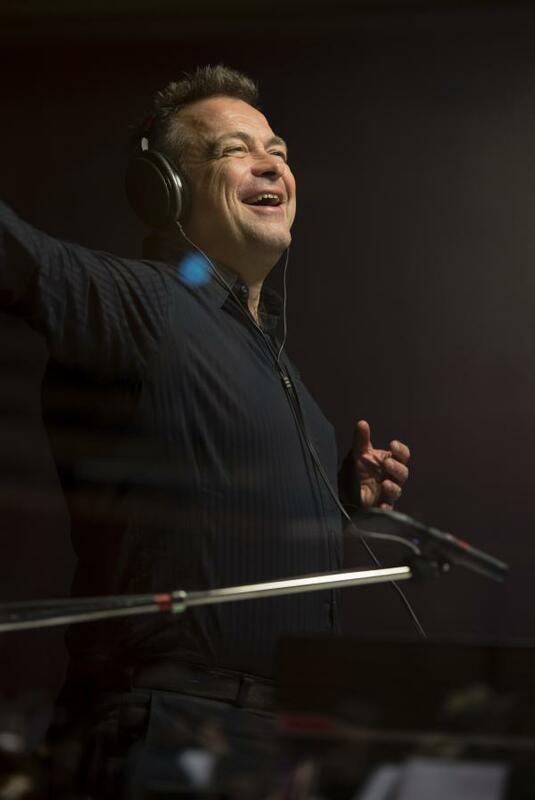 In the fall 2014 Kuuskmann is to release a new CD with the much awaited recording of the Concerto by Christopher Theofanidis recorded with the Seattle Sinfonia under Barry Jekowsky. A graduate of the Yale and the Manhattan Schools of Music, Kuuskmann’s mentors include Stephen Maxym, Frank Morelli, Ilmar Aasmets and Rufus Olivier. 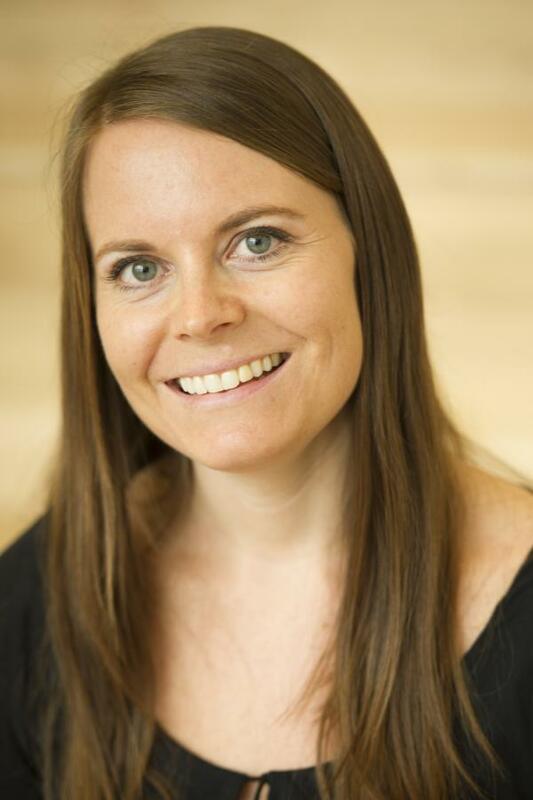 As an avid educator, Kuuskmann taught at the Manhattan School of Music Contemporary Performance Program (2007-2012) and currently teaches at Cornish College of Arts in Seattle. He serves as the woodwind coach of the Baltic Youth Philharmonic and teaches regularly at the Arosa Music Academy in Switzerland. Kuuskmann is a founding member and solo bassoonist of the New York City based Absolute Ensemble. 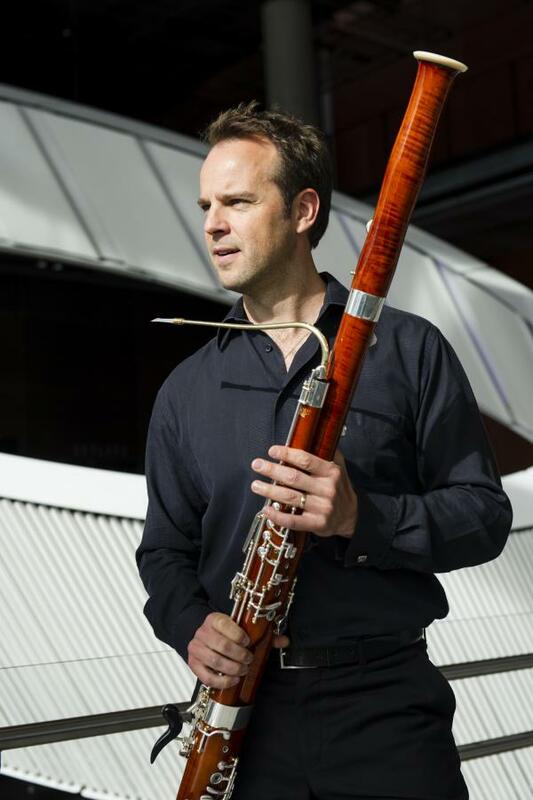 An artist of Bernd Moosmann bassoons, Miller Marketing Company, Martin Kuuskmann plays on the Moosmann 222 model bassoons. Stavanger and Kristiansand, performing among other compositions Alfred Schnittke’s Concerto Grosso in the fall of 2008. She has also performed with musicians such as Janine Jansen, Lars Anders Tomter, Soo-Kyong Hong, and Dan Laurin, in various chamber music contexts. and Stavanger Concert Halls, this time in collaboration with the orchestra's artistic director Fabio Biondi. 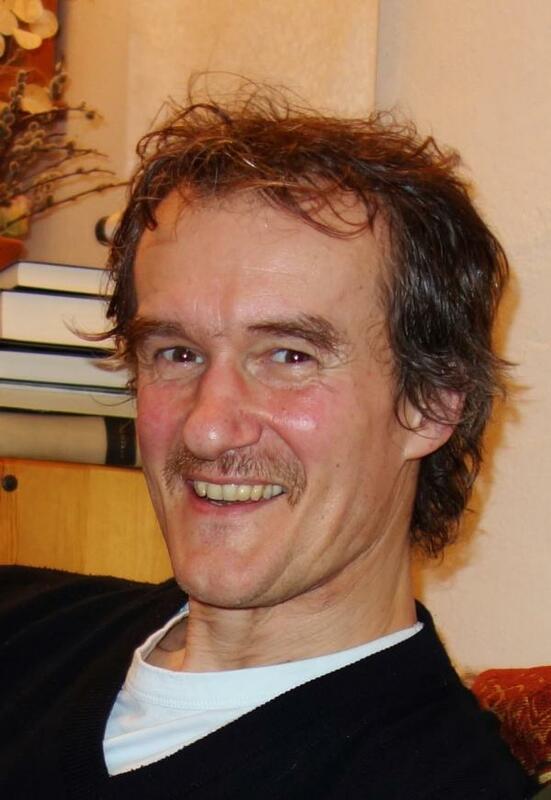 In addition to studies with Professor Jan Bjøranger, Benedicte has participated in master classes with, among others, Arve Tellefsen , Mi-Kyung Lee and Dora Schwarzberg . 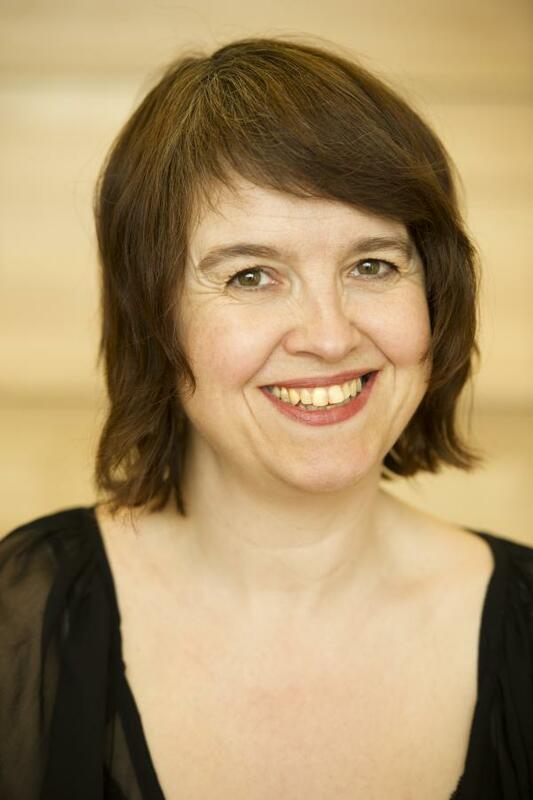 She has toured Europe as a member of the Gustav Mahler Jugendorchester, and has been concert master of the Norwegian National Youth Orchestra, performing concerts in, amongst other places, Norway and Denmark. Benedicte has received numerous scholarships and endowments, and is employed as alternating group leader for the second violin group of the Stavanger Symphony Orchestra. She plays a beautiful, unsigned 1700 century violin from the orchestra's own collection. Benedicte has been a member of 1B1 since its inception. Dan Laurin is recognized as one of the leading recorder players of our times and one of the best interpreters of Vivaldi. He has toured extensively in Europe, USA, Japan, Korea and India. He has recorded more than 30 CDes as a soloist for BIS and has a repertoire that spans from Medieval to contemporary music. Dan Laurin has performed with orchestras such as Berliner Philharmoniker, Drottningholm Baroque Ensemble, Bach Collegium Japan, The Lithuanian Chamber Orchestra, etc. He is professor at Royal College of Music in Stockholm and at Trinity College in London. He has received several prices among which a Grammy, a price from the Swedish composers for his performance of contemporary musica, the "Litteris et Artibus" by the king of Sweden and the "Interpretation price 2011” from the Swedish Royal Academy of Music, where he is an elected member. Liv Opdal is principal cellist in the Stavanger Symphony Orchestra and professor of cello of the university of Stavanger, Department of Music and Dance. She is an active chamber musician and has for several years been a festival musician at the Stavanger International Chamber Music Festival. Together with the Oslo Philharmonic Orchestra and Aage Kvalbein, Liv has been awarded a Norwegian Grammy Award in the category of contemporary music, for Lasse Thoresen’s "Illuminations". Liv Opdal has performed numerous solo concerts both domestically and abroad. Besides teaching the cello at the University of Stavanger, she regularly conducts seminars at other institutions and summer courses. Liv also teaches chamber music and works as a team leader in 1B1, which is the music department's chamber orchestra. Gábor Papp was born into a Hungarian musician family. He was taught by his father until the age of 16. After that he was accepted at the Liszt Academy in Budapest where he studied under Semjon Snitkovskij (guest professor from Moscow), and after his death under Dénes Kovacs. 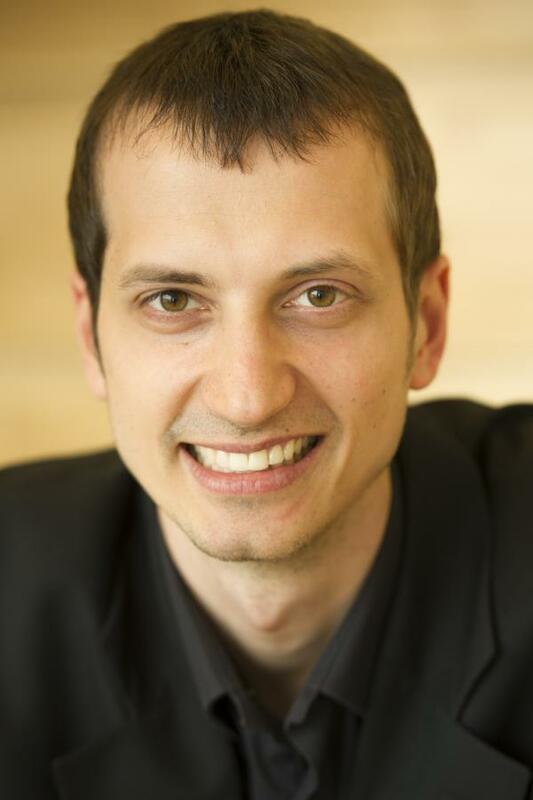 After graduating, Gábor studied in Seattle with Dénes Zsigmondy. Coming back to Europe, he was accepted at the Mozarteum Orchestra Salzburg as third concert master. A few years later Sandor Vegh invited him to his chamber orchestra Camerata Salzburg, where he is still a member. 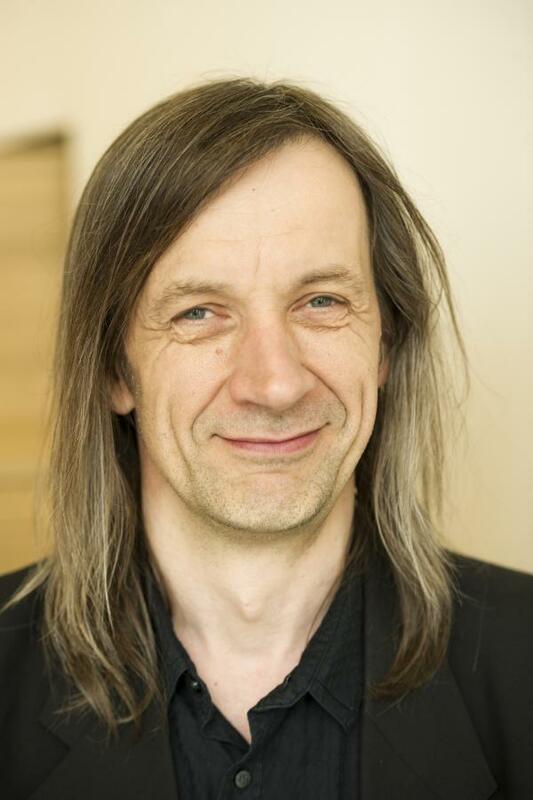 In 1993 Gábor started to teach at the University of Pecs where he is still teaching as a violin professor.He is also active as a chamber musician, giving regular recitals and chamber music concerts. Wouter Raubenheimer (1977) grew up in Pretoria, South Africa where he received his initial music education. He completed his Bmus degree under Professor Alan Solomon at the University of Pretoria. During this time he won numerous awards and scholarships as well as being an extra player for the National Symphony Orchestra as well as the Chamber orchestra of South Africa. In 1999 he was granted a scholarship to study at the International Menuhin Music Academy in Switzerland that consisted of only 18 selected students. As a member of Camerata Lysy, the academy string ensemble, he had concert tours throughout Europe and South America. In 2002 he completed his Masters degree at the Royal Scottish Academy of Music and Drama in Glasgow. During his studies there he won numerous local music competitions and awards. He also won the 2002 NAYOS national music competition in Aberdeen Scotland. After this he worked part time with the BBC Scottish Symphony, Scottish Chamber Orchestra and Scottish Ensemble. He is currently principal viola of the Stavanger Symphony Orchestra. This is one of Norway’s finest, featuring on numerous CD recordings as well as regular radio and TV broadcasts. He is part of the Skasei String Trio with whom he won numerous awards in Europe. They toured China in 2011. He is also playing with the Chamber Orchestra of Europe, one of the most prestigious Orchestras world-wide, performing regularly in Europe’s finest concert halls and venues. The seasons 2008/09 and 2009/10 included the world premiere of four concertos which have been written for Lars Anders Tomter. 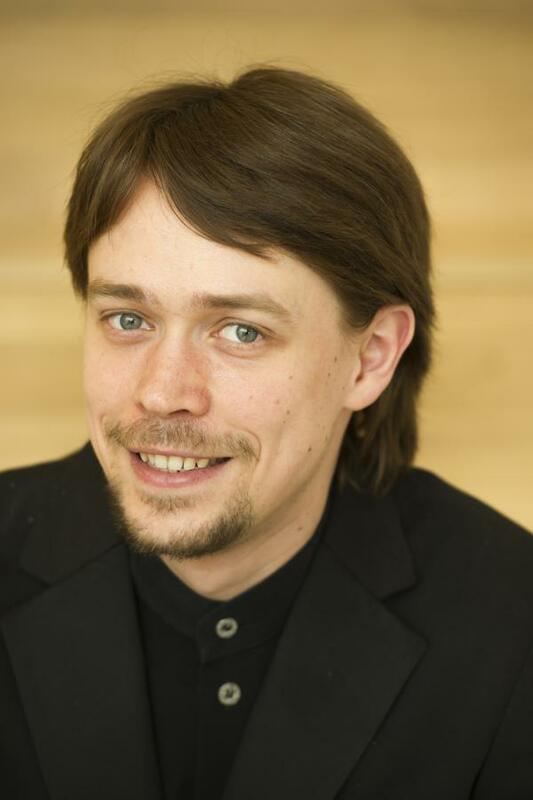 In July 2008, the world premiere of the viola concerto by Ragnar Söderlind took place, and in October 2008, Lars Anders Tomter played the world premiere of a new viola concerto, written by the renowned Estonian Composer Erkki-Sven Tüür. The Tüür Concerto "Illuminatio” is a joint European commission of the the Sønderjyllands Symfoniorkester, Estonian National Symphony Orchestra, the NDR Radio Philharmonic Hannover and the Orchestre National de Lille with support of Norsk Kulturråd. In June 2009, a new piece for viola and strings by Rolf Wallin was premiered within the Risør Chamber Music Festival, and in November 2009, a double concerto for violin and viola by Anders Eliasson will be premiered at Finlandia Hall in Helsinki. Lars Anders Tomter's international solo career started in 1987/88 when he toured extensively in the United States and Germany with the prestigious Norwegian Chamber Orchestra under its director Iona Brown. Since then his appearances as a viola soloist has been greeted with the highest public and critical acclaim throughout Europe and the United States, such as Vienna Musikverein, New York’s Carnegie Hall, London’s Wigmore Hall, Konzerthaus Berlin and the Kölner Philharmonie. Lars Anders Tomter has performed with orchestras such as BBC Symphony, BBC Scottish Symphony, Royal Philharmonic Orchestra, Academy of St. Martin in the Fields, City of Birmingham Symphony Orchestra, RSO Frankfurt, NDR Radio Philharmonic Hannover, Gürzenich-Orchestra Cologne, Budapest Festival Orchestra, Hungarian National Philharmonic, Czech Philharmonic, KBS Symphony Orchestra, Dutch Radio Philharmonic, Swedish Radio Symphony, Oslo Philharmonic, Bergen Philharmonic and Danish National Radio Symphony. Conductors with whom he has worked together include among others Marc Albrecht, Vladimir Ashkenazy, Sylvain Cambreling, Dennis Russell Davies, Olari Elts, Daniele Gatti, Manfred Honeck, Eivind Gullberg Jensen, Juha Kangas, Krzysztof Penderecki, Okko Kamu, Arvid Jansons, Dmitri Kitaenko, Ken-Ishiro Kobayashi, Ervin Lukács, Nello Santi, Jukka-Pekka Saraste, Ulf Schirmer, John Storgårds, Yan Pascal Tortelier, Muhai Tang and Hans Vonk. In addition, Lars Anders Tomter collaborates frequently with internationally renowned musicians in chamber music projects. Lars Anders Tomter is a regular guest at important festivals such as BBC Proms, Lockenhaus, Kissingen Summer, Mondseetage, Schleswig-Holstein, Schwetzingen, Styriarte, Verbier as well as at a number of festivals in Scandinavia. 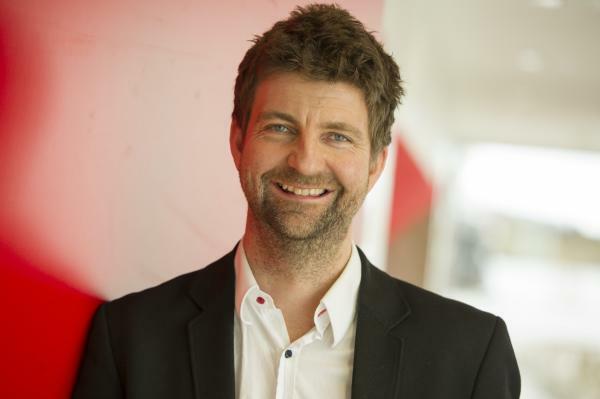 In addition, he is joint artistic director of the Norwegian Risør Chamber Music Festival. His large repertoire includes all major contemporary works, and he has recorded for Simax, Naxos, Virgin Classics, NMC, Somm and Chandos. 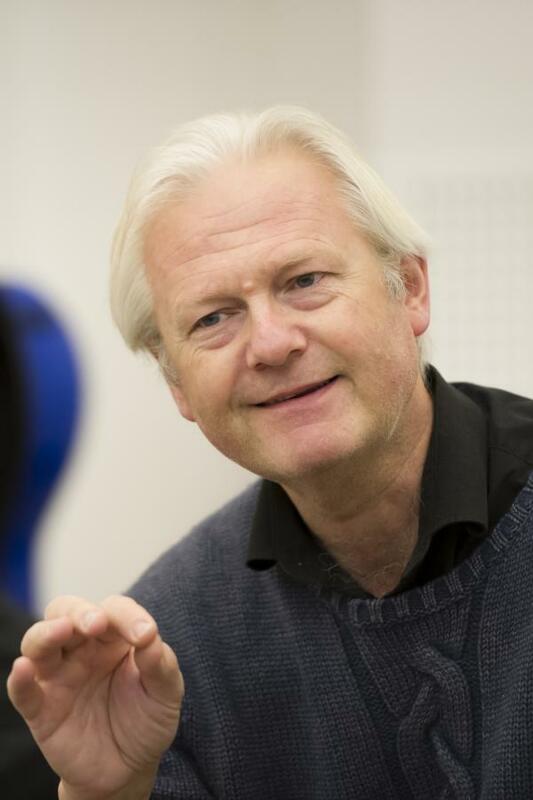 Lars Anders Tomter is a Professor at the State Academy in Oslo, supervising a number of Norway's most talented string players. He plays a Gasparo da Salo viola dated from 1590. Ivan was born in 1984 in Odessa, Ukraine. From 1990 to 2001 He studied at the Odessa Special Musical School named after Professor P. Stolyarskiy, since 1996 in the double bass class of the honored artist of Ukraine, V. Chekalyuk. Later Ivan continued studying in the class of Chekalyuk at the Odessa Music Academy named after A. Nezhdanova. In 2003 he became the First Prize Winner of the international Evgen Koka Competition in Kishinev, Moldova. He also received two First Prizes (chamber ensembles section - 2003, 2006), and the Second Prize (solo performances section - 2005) of the international Competition "Art of XXI century" in Kiev, Ukraine. In 2006 Ivan graduated from the Academy with honors and was invited to stay at the Academy as a junior member of the teaching staff. From 2003 till 2008 Ivan was a member of the National Odessa Philharmonic Orchestra and member of the Double Bass Quartet of this orchestra. In September 2008 Ivan started to study with the great double bass player and teacher Rinat Ibragimov in the Guildhall School of Music and Drama, London. In September 2009 he won the 3rd prize in ARD’s international music competition.